Last month I went to a writing conference. It was lovely. I’ve posted about it before here, and here and here. One of the workshops I went to was called The Seven Sentence Story. It was presented by Edward Willet, a writer from Regina. Edward credits author James Van Pelt with creating this exercise. 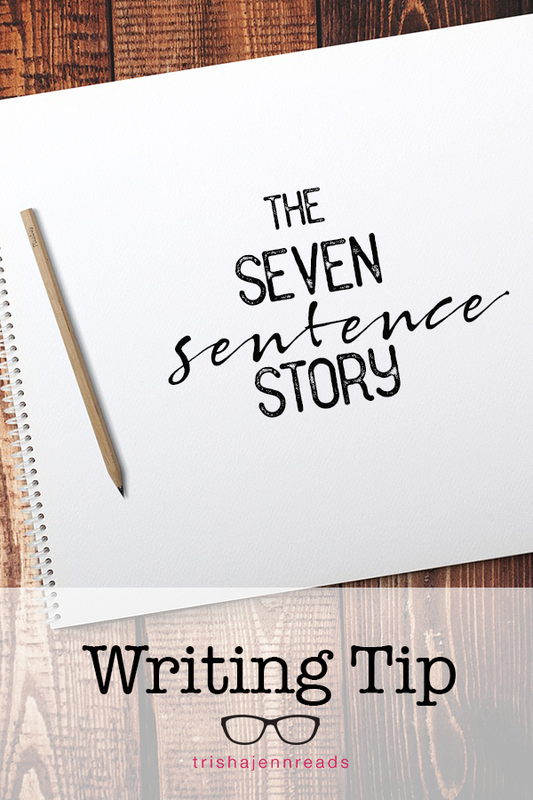 Essentially, the seven sentence story is a plotting exercise to help you get the framework of your story down. It’s the main events of your story stripped of all the extra stuff that make something exciting to read. Then, once you have the seven sentences outlining your main events, you can fill in all the details and make a complete story, or even novel! I’ll be honest, I didn’t completely get it during the workshop. I wrote a scene and looked at details rather than going big picture for main events. So rather than show you the story I wrote then, I’m going to try to and write a new seven sentence story for this post. I promise you that it will be VERY rough and need lots of editing, but it’s a start. First, the instructions (from my notes) for what should be in your sentence, then my example. Here goes! 1. Introduce the main character, what they want and the first action they take to accomplish that goal. Gemma quits her job as a contemporary ballet dancer and takes a job in a brewery to learn how to make award-winning beer, hoping to make her parents proud of her as an individual rather than as one of the twins. 2. The results of the action in the first sentence that makes the situation worse and takes the character farther from the goal. Angry that Gemma abandoned her and their shared dream, Gemma’s twin sister kicks her out of their apartment and convinces their parents not to talk to Gemma until she smartens up. 3. Based on the new situation, the character takes a second action to accomplish the goal. Gemma moves in with a coworker, who she actually really likes, and tricks him into helping add extra special spices to the current batch of beer. 4. The results of sentence three make the situation even worse. The extra spices turn the beer a weird colour and give it an awful taste and giving the fledgling brewery an even worse reputiaton, causing Gemma’s boss to question what happened and her new romantic interest and roommate to tattle on her. 5. Based on the new situation, the character takes a third and final action to accomplish their goal. Gemma visits every brewery in the province undercover to learn what they do and how they do it so she can translate some of that info into her beer for the big brewing competition, save her brewery and keep her job. 6. The third action either accomplishes the goal, fails, or there is an unusual but oddly satisfying different result of the last action. Her new beer attempt actually works and her boss convinces her sister and parents to come see her receive the brewing award. 7. The denouement. This sentence wraps up the story up and tells the reader how the character felt about the result, a moral, or what else happened to the character and how life continues on. Gemma and her sister make up, which makes their parents proud, and Gemma promises to talk to her sister about her life and what she’s thinking and feeling rather than try to run away from it. Whew! There you go, a SUPER rough outline of a story I’m working on right now. It’s coming in little tiny bits and pieces, but this was definitely a helpful exercise to think about where the story might go. And I heavily emphasize the might in that sentence. For me, plotting seems to be about creating a guide or a trail to follow. It’s not a step-by-step map, but more of a starting point with a bunch of possible directions that may or may not connect. Have you ever tried an exercise like the seven sentence story? How do you plot your writing? Thank you for sharing this! I remember you mentioned this in another conference post and I’m grateful for this post because the exercise is not what I had expected it to be. haha I was thinking more along the lines of a flash fiction writing exercise, but this is much better. I think this will be especially helpful with a book I’m working on at the moment. I have a million ideas and this will help me sort things into simple pieces and narrow my focus. I’m so glad it helps!! Thanks for commenting. 🙂 I’m hoping to use it too to refine ideas and get focused.